Latex VS. Foil: What’s the Difference? Home » Blog » Latex VS. Foil: What’s the Difference? Latex and foil balloons are revolutionizing the way brands market their services. This is because balloons are a great way to advertise your brand and hold a special event. Not only do they add personality to an otherwise dull party, they also make great decorations. Gone are the days when they were associated with just birthday parties and picnics. They’re now revolutionizing the way brands celebrate milestones and market their services. 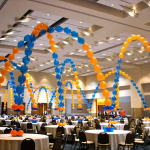 But one question that pops up from time to time is, which type of balloons are great for events? Latex or foil? Balloons are inexpensive on their own, whether they’re foil or latex. But latex balloons are the most affordable out of different types of balloons. This makes them great for events like corporate parties and organization anniversaries. This means that you don’t have to hundreds of dollars on just decorations. You can get up to a hundred for an economical price, without the worries of drilling a hole in your bank account. One of the best things about custom foil balloons is that they are long-lasting. This is excellent because if you plan to promote your brand with a fantastic decor that will last for more than a week, you don’t have to worry about the balloons deflating. Supermarkets Love them. Another perk of foil balloons is that they come in different shapes as well. For example, let’s say you’re throwing a fundraiser and need balloons that are in the shape of alphabets. This is where foil balloons come under the spotlight. Most common shapes for customized foil balloons are round, star and heart. In addition, they are glossy and shiny, making them perfect for formal events as well. Send a bold and effective message to your guests! They are perfect if you’re looking for a way to advertise your brand and want to grab your guests’ attention. You can even fill them with small lights so that in the dark, they light up. Printing your logo on them will help the lights highlight your brand’s image and convey its message. Whatever you choose, whichever type of balloon you choose, remember that both offer the perfect solution in their own ways. 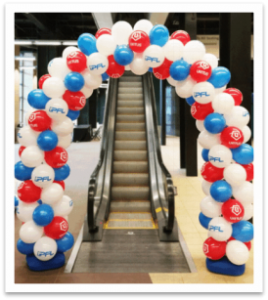 If you’re looking for a custom balloon printing agency, let us take care of that for you! 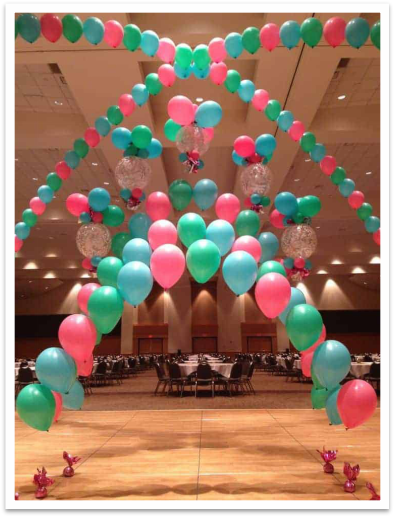 CSA Balloons offers custom printed balloons for various events and marketing campaigns.